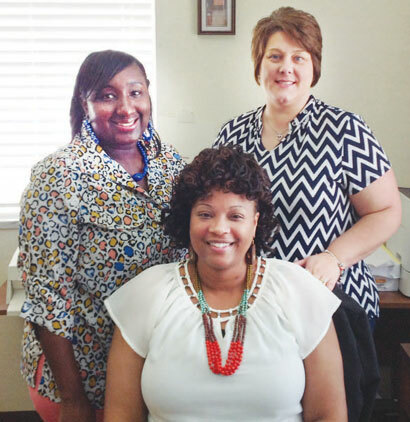 The County Administration Department is headed by Latrice Wilson, County Clerk. She is assisted by Payroll Clerk Marian Office and Pam Nunes, accounts receivable and payables clerk. The department prepares reports for the monthly County Commission meetings. employees. 189 Direct Deposits for payroll and 82 checks were written in July for a total of $223,158. Accounts payables are done each Wednesday. $397,111 was paid out in July on 180 vouchers and 160 checks. Garbage is handled by this department. There are 1,087 active accounts in the County and collections run 75-85 percent. “There truly is a lot of work that goes through that office,” said County Manager Mary Wynn. Department Spotlight tells people about one of the County’s departments each month. Mrs. Wynn selects the department to be highlighted.